Screened or bright full color printing on microfiber cleaning cloth cleans AND Protects your devices at the same time. Use it to clean those smudges from your screens. Washable and long lasting! 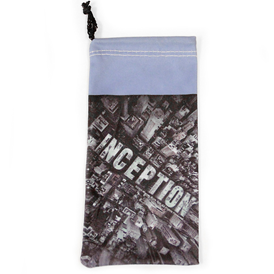 Full color sublimated printing on both sides of pouch. Screen printing on one side with an option for both sides. Choice of smooth or brushed material. Screen printing is available on both sides for $0.08 (C) run charge per color (for same design). Custom sizes of pouches are available. Please call for details. Micro-fiber suede material is available. Please call for details. $50.00(G) plus setup. The $50.00 (G) sample charge will be refunded when order is placed. 3-4 weeks after approval of artwork or pre-production sample.